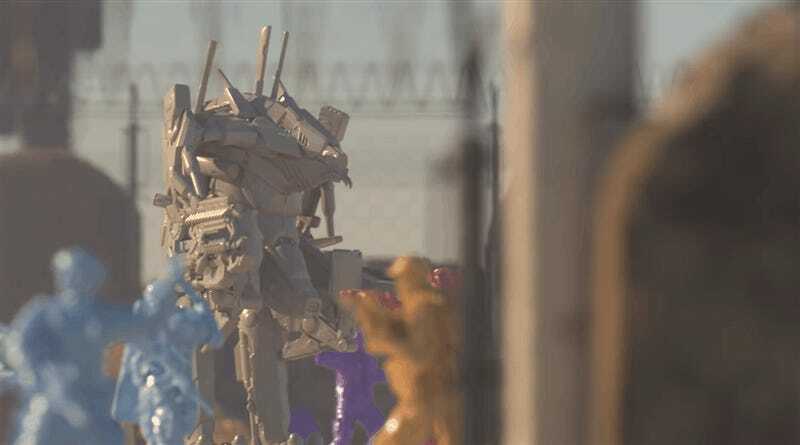 Fresh off their success with last year’s GKR, Weta are now working to turn the studio’s 2009 sci-fi classic District 9 into a board game as well. At first glance, it’s pretty similar! The same punchy art style is there, there are hexes to move on and loads of very cool miniatures included in the basic box. The aim is obviously different though; rather than being a straight-up fight like GKR was, in District 9 you’re re-living the three days of the film, only now you’re playing as one of four factions that’s trying to scavenge for alien tech while trying to avoid rioting prawns and some crazy half-alien guy (Wikus, who is in the game as a miniature but isn’t controlled by anyone) running around with his own agenda. District 9 is currently taking orders on Kickstarter. UPDATE April 3 - Oh. The Kickstarter has now been cancelled after feedback from fans, and will return with re-tooled rules and offerings at a later date. Bummer!